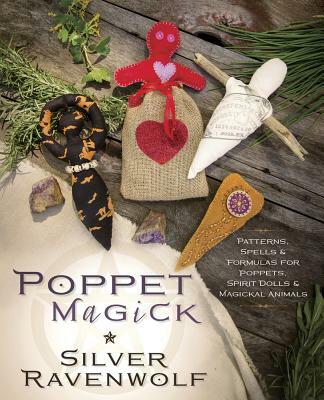 Silver RavenWolf (Pennsylvania) is a nationally recognized leader and elder of Wicca, and her writing has been instrumental in guiding the future of one of the fastest-growing faiths in America today. The author of many books, she has been interviewed by The New York Times, Newsweek Magazine, and the Wall Street Journal, and her work has been featured in numerous publications, including Bust Magazine, the Baltimore Sun, the St. Petersburg Times, the National Review, Publishers Weekly, Body & Soul Magazine, and Teen Lit Magazine. Her titles include the bestselling Solitary Witch, Teen Witch, To Ride A Silver Broomstick, To Stir A Magick Cauldron, To Light A Sacred Flame, American Folk Magick, Angels: Companions in Magick, Silver's Spells for Prosperity, Silver's Spells for Protection, Silver's Spells for Love, Halloween, HedgeWitch, and the Witches' Night Out teen fiction series.